Meet the Farmers - Just Veg. 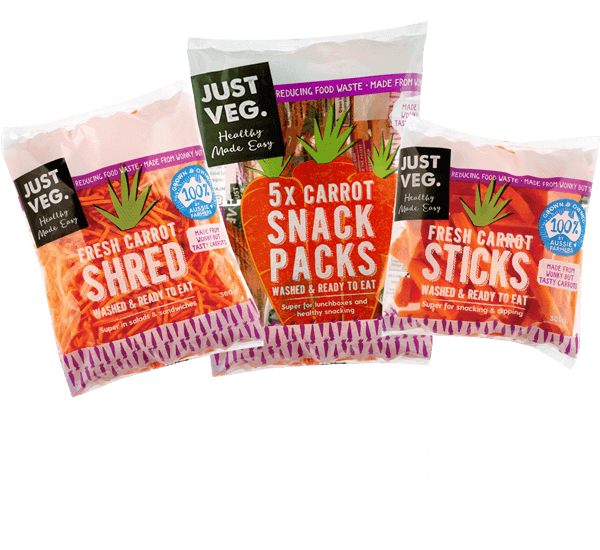 Just Veg. 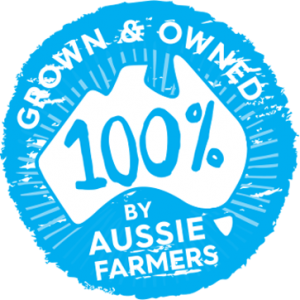 carrots are grown by a team of dedicated Queensland vegetable farmers. What they don’t know about carrots ain’t worth knowing. Ed Windley is our resident expert in all things crop health and soil science. He grew up on a cattle farm but has had an affinity for horticulture from a young age. 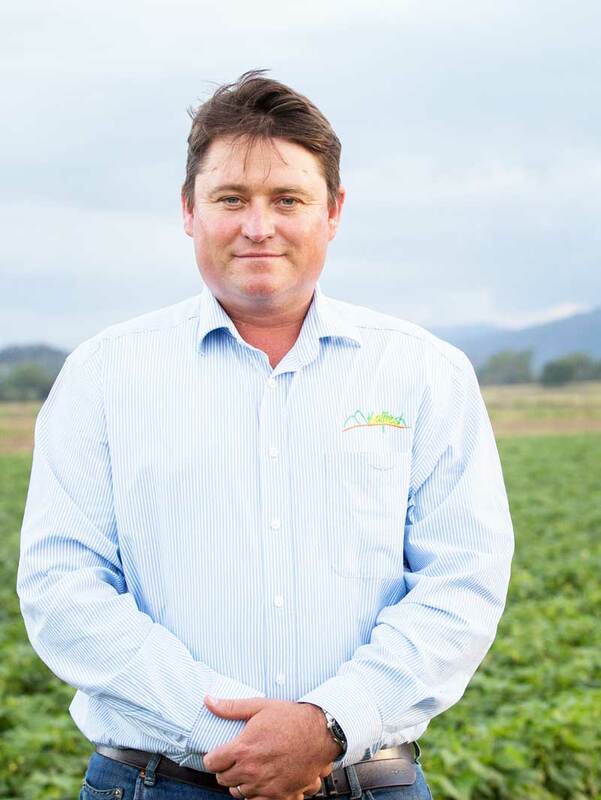 He started growing air plants as a child, and graduated to larger crops after uni, working as an agronomist around Queensland. Ed now grows vegetables on his own farm at Kalbar and is a stickler for systems and science. Ed is something of a bug expert and leads the field in the areas of Integrated Pest Management and sustainable farming systems. Rob has been growing vegetables for the past 30 years and boy have things changed in that time. He remembers rugging up as a kid to help his parents pick potatoes and other vegetables to send to market in hessian bags on an open truck. 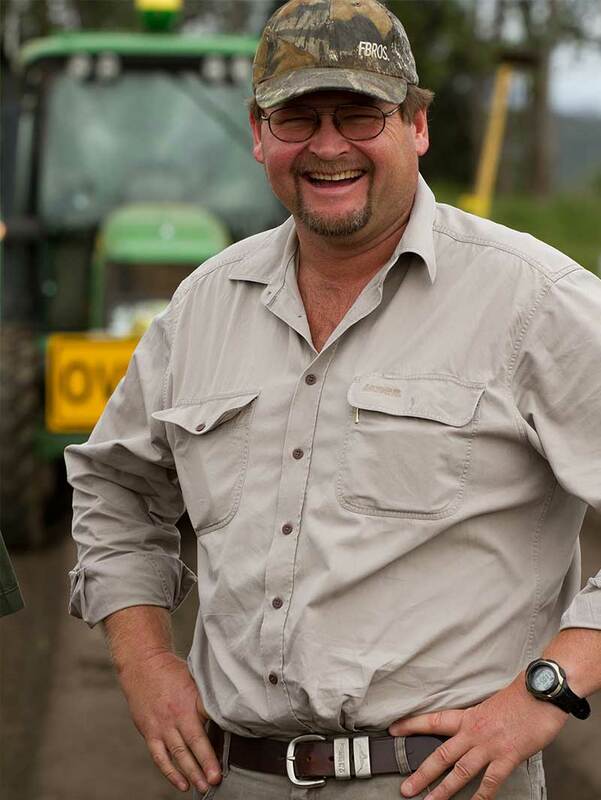 Modern farming has come a long way and Rob’s operation is leading the charge in on-farm and post-harvest innovation. 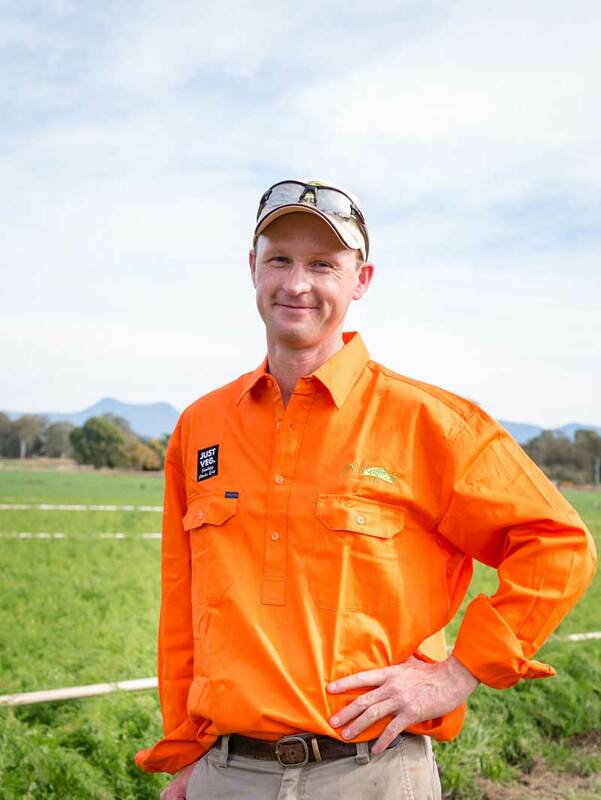 He was named AUSVEG Grower of the Year in 2017 and has a passion for soil health and composting. Rob believes the healthier the soil, the healthier the crops. Garth grew up in the beautiful Fassifern Valley and is well-known as being the quiet achiever. He’s humble, dedicated and always willing to lend a hand. 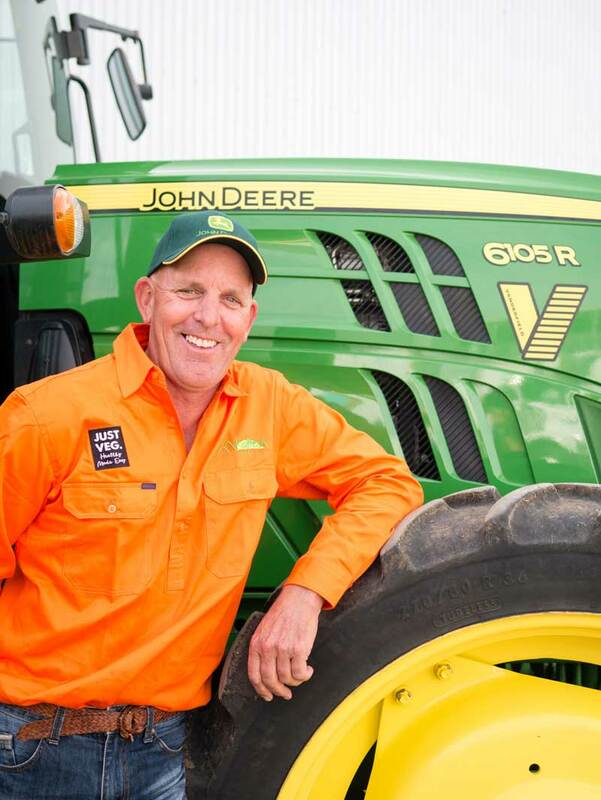 It’s no surprise Mick’s journey has led him to vegetable farming. He spent his formative years in a playpen in the carrot packing shed as his mum Annie worked on the family farm. Mick’s childhood on the farm laid the foundations for his future career. He’s our gentle giant, hardworking, thoughtful and dependable. 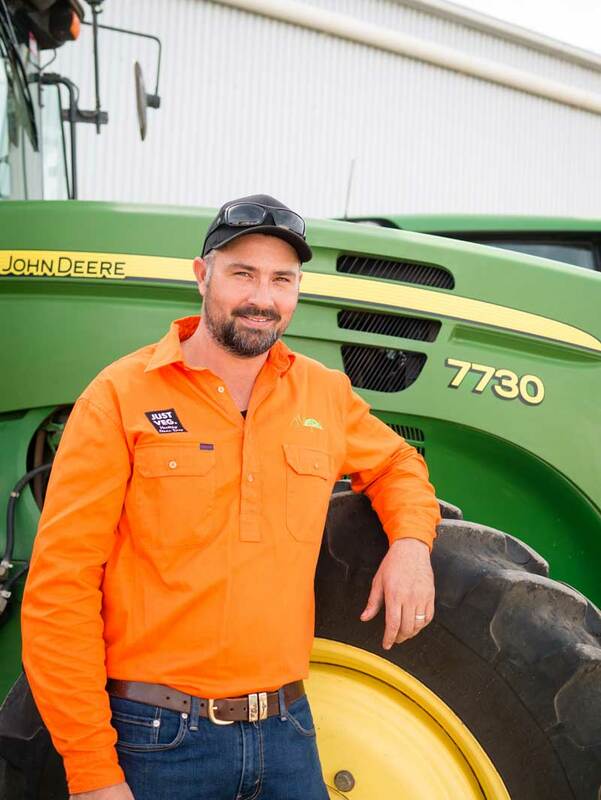 These days the farming operation is still a family affair – Mick works with his wife Tracey and his brothers-in-law Brett and Zane. Mum Annie still lends a hand when required and is famed for her amazing carrot cakes. Richard doesn’t get his hands dirty as much as he’d like these days, but his passion for produce cannot be questioned. He lives, breaths and dreams carrots and is our resident ideas man. He’s the guy who drives us and inspires us to think big and back ourselves. You’ve met the Farmers, now meet the Farmers’ Wives. 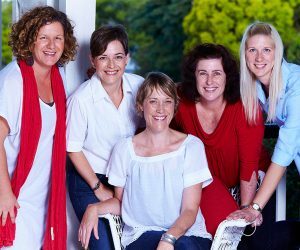 Our team of talented women are farmers’ wives, mums and professionals in their own right.